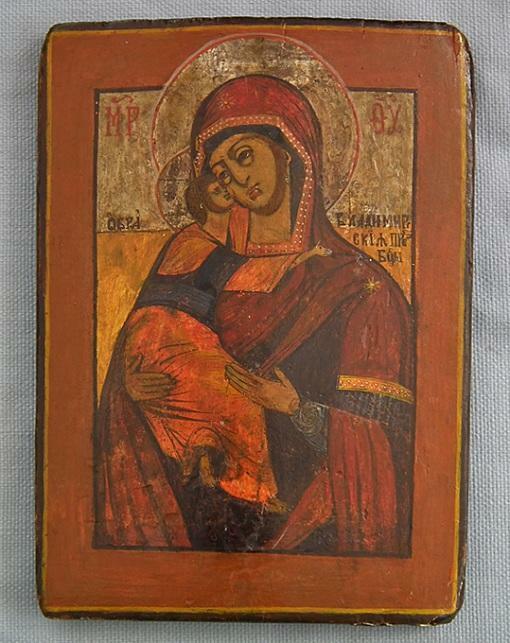 Authentic antique, 18th century, Russian Orthodox Icon Mother of God Vladimirskaya. The Icon is traditionally finely hand painted in tempera on a gessoed wooden panel and encased with the repoussé iron oklad. This unusual way to encase the icon in iron oklad was usually used in time of war. Mother of God of Vladimir is one of the oldest icons of the type Eleousa (Virgin of Tenderness). 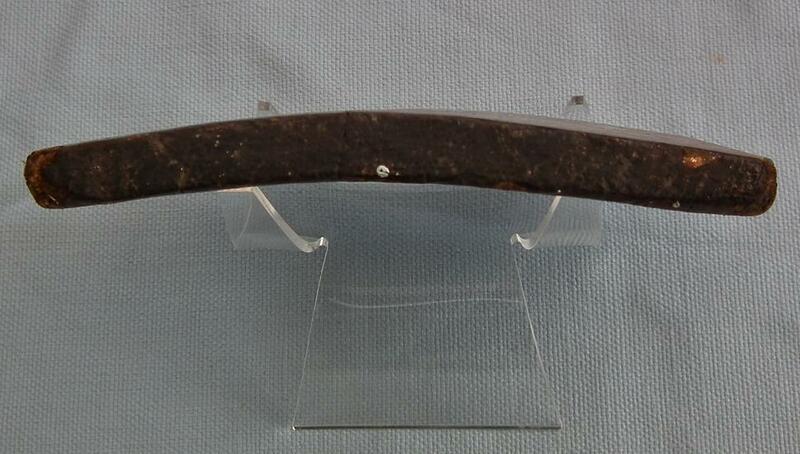 MEASUREMENTS: 33.5 cm x 22 cm (12 in x 8 5/8 in). 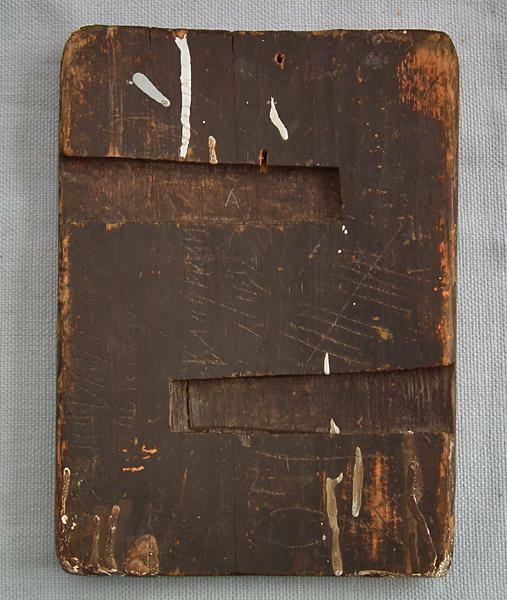 CONDITION: In good condition considering its age of 200 years, with some old surface restoration.